Kotaku has reported previously that DICE is hoping to have only cosmetic microtransactions in Battlefield V, with developers keenly concerned about the reaction following the fallout from Battlefront 2's loot boxes. You can read more about that in Jason's original report below. The people who make Battlefield, just like many other developers across the video game industry, have heard the loot box furore loudly and clearly. 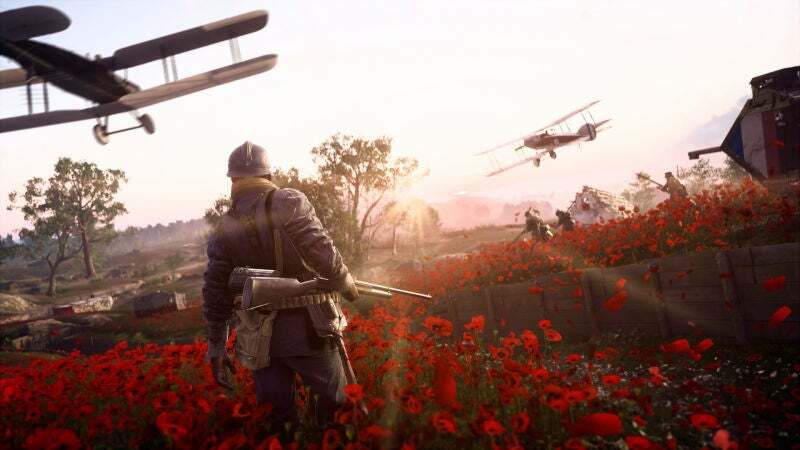 The next Battlefield's microtransaction plans remain in flux, as they are in many games until close to release, but it's unlikely they will inspire as much anger as Star Wars. Battlefront II's did. That will be a theme. Based on conversations I've had with developers at a range of major studios lately, nobody wants their game to be remembered for its loot boxes. Crazy idea I know, but how about just no microtransactions? It seemed to work fine for BF3 and 4. Obviously the games still made plenty of money without nickel-and-diming the fanbase and there was absolutely nobody who was angry about the lack of them. But 4 had micro transactions? Do you not remember battlepacks? I forgot about battlepacks being purchasable with real money in BF4 largely because you got so many for free that it was easy to unlock everything anyway. ...I'm also okay with that model. Not only did BF4 sell gold battlepacks, it also sold player-base fracturing DLC and weapon short-cut packs. Not to mention "premium" which is such a farce. Hang on, how the hell did we end up here? Nobody has ever asked DICE for single player content in BF and when we do get it they're lame, while everybody has always praised the single player context in CoD. People still talk about the campaign in CoD4. How the hell did we end up swapping? Remember when everyone said EA was killing single player gaming? The one game that doesn't really need it. As much as i liked the single player campaign in BF1. It was just to short. They really need to lift their game on the SP side if I'm going to buy into the franchise again. I didnt care that it was short, Most of them were amazing experiences grounded in reality somewhat. And They get a freepass for inlcluding Australians in it with actual Australians voicing the characters. Its not BF5 is BFV. V could mean 5, but it the thinking is more towards it being V for Victory and setting in WW2 or V for Vietnam.